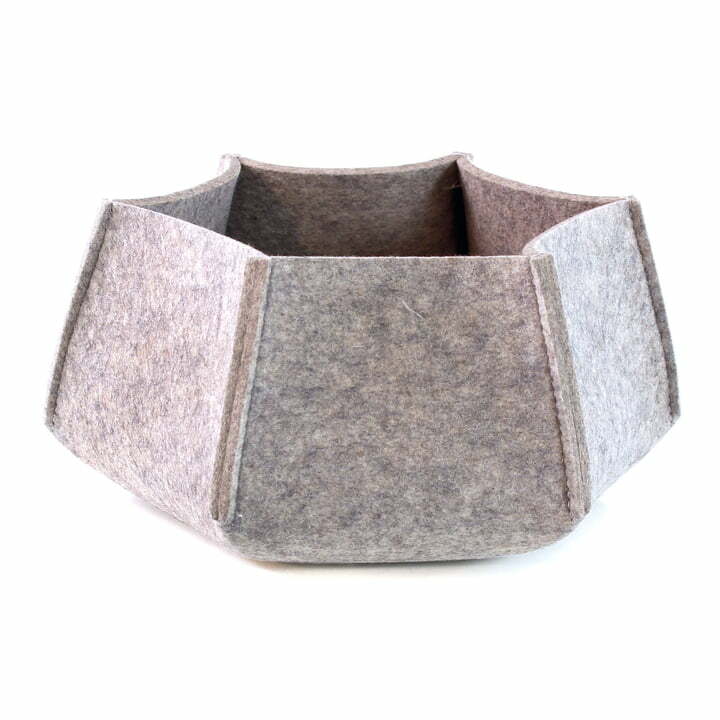 Designed by Sonja Zilz for Hey Sign, the six-sided felt basket Comba is an elegant home accessory to store keys, jewelry and many more items. The felt basket is available in three sizes and many different colors. 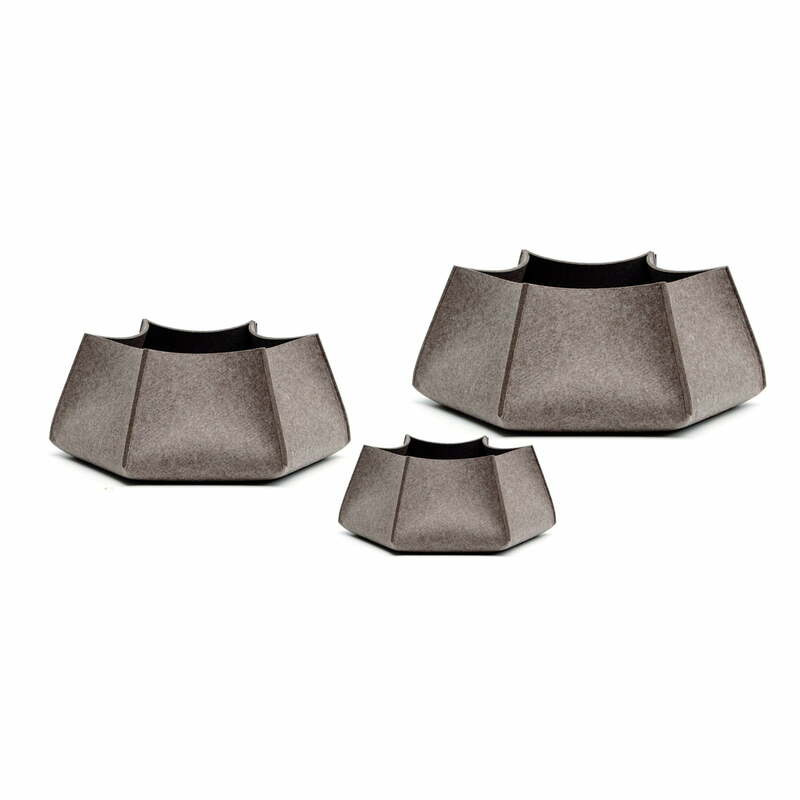 The Hey Sign felt basket Comba is available in three different sizes. The small baskets can hold accessories such as keys and jewelry, whilst the larger baskets are ideal for magazines, toys and the like. The Comba Felt Baskets are elegant storage solutions for all kind of objects that you have at home. In a blink of an eye, the Hey Sign baskets move in – and tidiness automatically follows. The basket is available upon request in the many colors Hey Sign has to offer. Single image of the Hexagonal conical basket Comba in the sizes L by Hey Sign. An extraordinary storage possibility made of 5 mm thick felt in the color bright mottled.